How did we help a 95-year-old bank become relevant again in the mind of today’s consumer and increase new checking account leads? 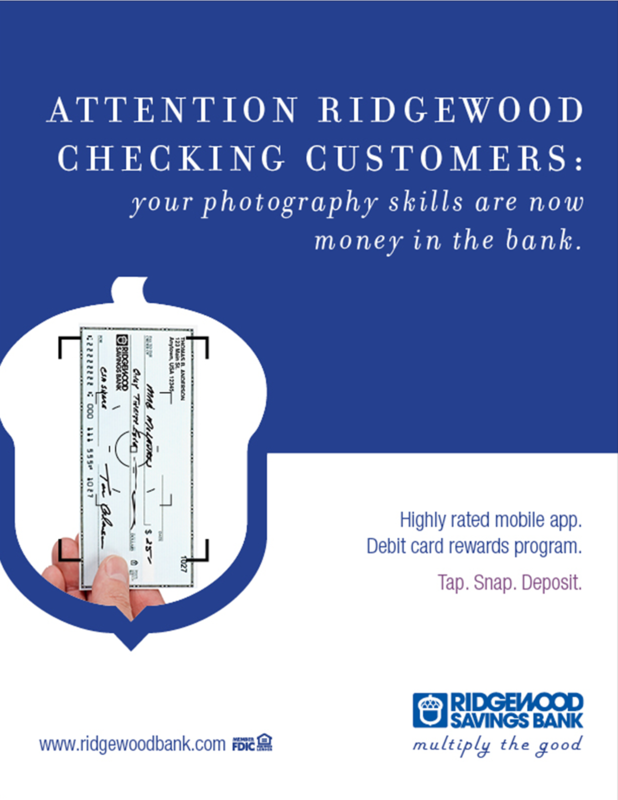 Formed in 1921 by a group of local citizens, Ridgewood Bank has always been “for the people and by the people,” but in today’s digital age, their message and image no longer connected with checking account prospects. 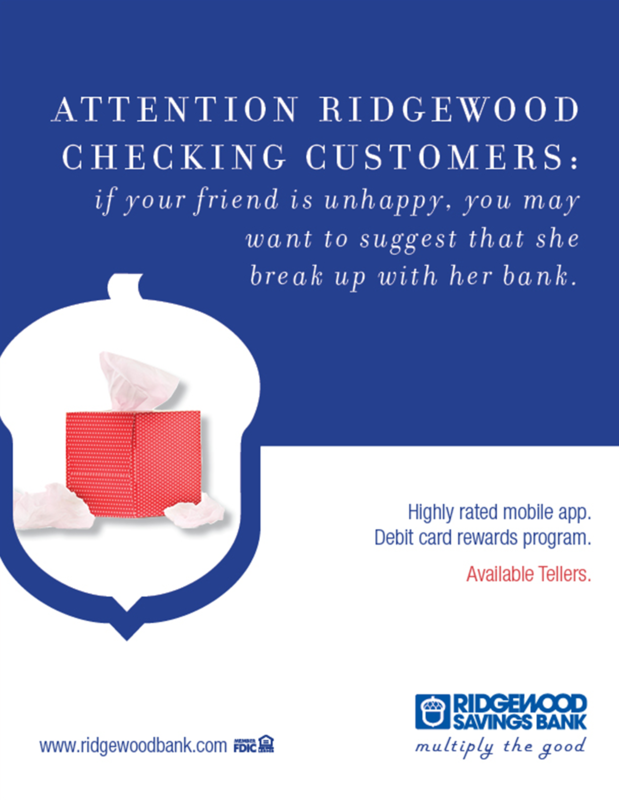 After revising their tagline to “Multiply the good,” we worked closely with our client to show the surprising an unique features of Ridgewood’s checking accounts, while also current customers feel special. Campaign Elements: TV commercials, pre-roll, social media video, online ads, OOH, print, in-branch posters, consumer brochures. 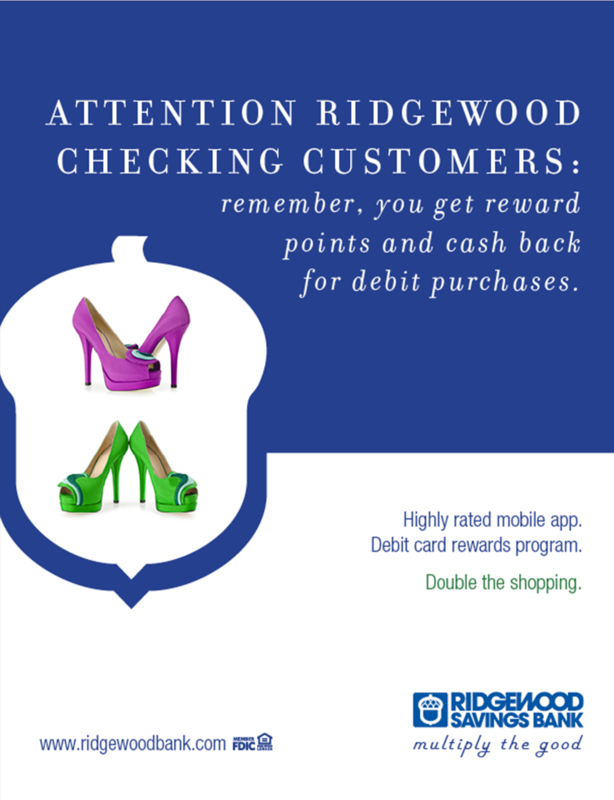 92% of viewers responded “likely” or “more likely” to consider banking at Ridgewood.